Holloway 1in+ height, Oliveira 4in+ reach. Discussion in 'UFC Discussion' started by Moral Victory, Aug 18, 2015. Holloway is shorter in reach than height, it's not too common to see this, not even Sherk or Mendes (aka the Rexies) had this. From what i've seen the reach is usually around 5% longer than that of the height. Can you think of any other fighter/s who has a shorter reach than height? And is there any advantage to it, be it striking or grappling? It's illustrating his comparatively short reach. i think holloway has long arms, but short reach. Not a big deal. It's kind of surprising, considering how long Holloway looks. Probably just an example of how being thin and lanky makes you look longer and taller than you are. 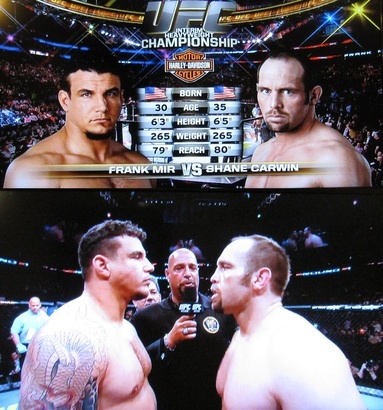 statistically, height advantage does not matter if the fighter does not have a corresponding 2+ inch reach advantage. a smaller fighter with longer reach is more favored than a taller fighter with shorter reach. a reach advantage less than 2 inches does not show significant difference in win percentage. Conor has the same reach as Oliviera but probably shorter arms than Holloway (or about the same), considering how wide his shoulders are. Hard to tell with Olivera. He's got some tiny shoulders. Maybe Holloway doesn't cut that much weight. McGregor sure cuts a lot more since he has the same height but much broader shoulders and longer reach. McGregor is shorter than both Holloway and Oliviera. You're right. I guess he just looked the same height because of his stance. I've seen where one fighter claimed to be 5'10 and another 5'7 yet at weigh ins they look the same height. This could also be the case. Hard to believe holloway is taller than do Bronx but even so that's not too uncommon where a shorter guy has a reach advantage. 70" sounds a little short for a 5'11" guy. I would not be surprised if the values are estimated. Gus was supposed to have like 8" reach disadvantage against Jones which is obviously false. It happens quite often and you shouldn't trust what's written on the tale of tape anyway. Most reach stats are inaccurate anyway. I highly doubt Conor has 74". He does have broad shoulders but his arms seem pretty average for his height (5"8). Btw., reach doesn't really say how long your arms are, since the shoulder width is included. You could potentially have really broad shoulders and shorts arms and still have a great reach. I'm the same height and reach as Hollaway, but I have pretty short arms and broad shoulders. About 25-30 pounds more weight. Johny Hendricks and Ronda had success despite of having shorter wingspread than height.